Hey hey, my leather obsession continues in this post. Leather dress is a very versatile piece, so there are countless options how to wear it. You can easily transform it from day to night look, and here is my way how to do it. For day I would wear it with crisp white button down shirt (underneath) and gorgeous leopard loafers, a bit in style of Alexa Chung. And after sun goes down. 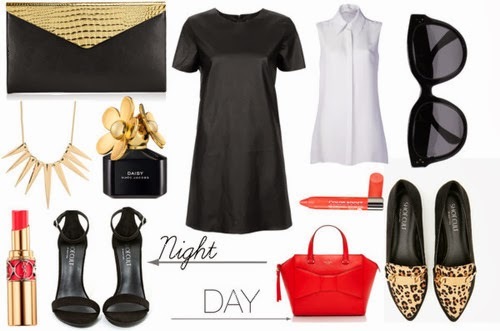 swap loafers for heeled sandals, add mini clutch and you are ready for night out!